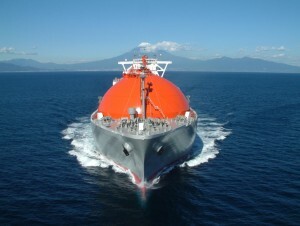 The joint-venture consortium of “K” Line LNG Shipping (UK) Limited (“K” Line) and Chandris Hellas Inc. (Chandris) is pleased to announce that it has entered into long-term Time Charter contracts with the BP group for two LNG Carrier newbuildings. The vessels, which will have a capacity of 173,400m3, will be constructed by Daewoo Shipbuilding & Marine Engineering Co., Ltd. in South Korea. Delivery of the vessels is scheduled for 2018. It is expected that the vessels will primarily be engaged in the transportation of LNG from the Freeport LNG project in Texas, USA. Both “K” Line and Chandris are pleased to further develop their relationship with the BP group in the energy transportation sector and also to display its contribution to meet the increasing global demand for LNG transportation services. “K” Line will undertake ship management of the two vessels. The Young International Freight Forwarder of the Year Award, FIATA’s training and development award, is now in its seventeenth year. TT Club, the leading international freight insurer, is delighted to maintain its sponsorship, having been involved since inception. The entries this year were of a particularly high standard and displayed a wide range of dissertation topics. The work of the entrants admirably demonstrated the complexity of processes carried out within the global supply chain and the logistics skills required to serve it. The diverse subjects covered by the dissertations of this year’s entrants included the transport of Liquid Argon, Copper Cathodes, High Fashion Garments and Air Separation Plant. The regional finalists will travel to this year’s FIATA’s World Conference in Taipei, Taiwan (8th-13th September) in order to present their dissertations to the judging panel, from which the International Award winner will be selected and presented with the award during the conference. Club’s Head Office in London. Additionally, one year’s subscription to the International Transport Journal (ITZ), Switzerland is granted to all four regional winners. With the opening of a Prague office dedicated to its European Freight Brokerage Service, Menlo Logistics is expanding its reach into Eastern Europe. Menlo Freight Brokerage was fully established in Europe in 2013, operating initially from the company’s European headquarters office in Amsterdam. With growth in customer demand, Menlo recently expanded its brokerage operations, opening a second office in Prague. The new office extends the reach of Menlo’s freight brokerage services to the Czech Republic, Slovakia, Poland, Hungary, Austria, Romania and Russia in coordination with current operations in Amsterdam. In Europe, Menlo Logistics maintains twenty dedicated or Multi-Client Logistics Centers and Transportation Control Towers located in the Netherlands, Belgium, Czech Republic, Finland, Germany, Ireland, Hungary and the United Kingdom. This Warehouse and Transportation network can serve as pan-European distribution solution using one or several facilities. Menlo Logistics images are available at www.conway.com/en/about_con_way/newsroom. Menlo Logistics, LLC, is a US$1.5 billion global provider of logistics, transportation management and supply chain services with operations in five continents, including North America. As a third-party logistics provider, San Francisco, California-based Menlo Logistics’ services range from dedicated contract logistics to warehouse and distribution management, transportation management, supply chain reengineering and other value-added services including packaging, kitting, order fulfilment and light assembly through a strategic network of multi-client and dedicated facilities. With nearly 20 million square feet of dedicated warehouse space in North America, the Asia Pacific, Europe and Latin America, and industry-leading technologies, Menlo Logistics creates effective, integrated solutions for the transportation and distribution needs of leading businesses around the world. Menlo Logistics, LLC, is a subsidiary of Con-way Inc. (NYSE: CNW), a $5.5 billion diversified freight transportation and logistics company. Joe Hughes, Chairman and CEO of Eagle Ocean Agencies, Inc.
NEW YORK, JULY 20, 2015: Eagle Ocean Marine (EOM) – the specialist fixed premium P&I and FD&D (Freight, Demurrage and Defense) facility underwritten by the American Club – has reported a solid fourth year of operations, and a strong start to its fifth year of activity, following the successful renewal of its quota-share and excess of loss reinsurances with Lloyd’s underwriters as of July 1, 2015. Over the past year, tonnage insured by Eagle Ocean Marine grew by nearly 20% over the figure for the previous twelve months, on a premium income of over $6 million. In addition, steadily rising levels of inquiries and orders indicate a promising outlook for EOM’s future development, despite strong competition in the sector. At the operating level, EOM has continued to perform very well. Both the incidence and severity of claims has remained low, reflecting a prudent policy of risk selection and premium pricing. Results to date indicate a cumulative combined ratio of below 70%, connoting strong profitability for the Club and its reinsurers. This, together with confidence in EOM’s prospects generally, informed the recent renewal of the facility’s reinsurances which were completed on positive terms. EOM supplies P&I and FD&D cover for the operators of smaller ships in local and regional trades. Providing P&I cover of up to $500 million per risk, it is aimed at owners who do not require, owing to the characteristics of their trade, the high limits of cover provided by the mutual system, and who prefer a fixed premium approach to their insurance needs. EOM insures ships from all over the world except the United States. More than 70% of its business is derived from Asia, with the remainder originating for the most part from Europe, Latin America and Africa. The facility’s tonnage by vessel type is broadly based, made up of tankers, general cargo vessels, bulk carriers and tug and barge business in approximately equal shares. “We are very pleased that Eagle Ocean Marine continues to do well. Its recent years’ results have been excellent: premium income, market share and operating results all continue to exhibit a positive trajectory, and augur well for the future. The recent increase in the limit of cover available under the facility to $500 million will continue to make it an attractive option to those who prefer a fixed premium solution to their P&I needs. We are determined to make EOM a growing success for all its stakeholders: its insureds, the Club, its reinsurers and its many other business associates. “We continue to take the long view when it comes to developing market share. The EOM business model is based on careful risk selection, sensible pricing, effective loss prevention and unsurpassed claims service. It is inspired by the traditions of classic P&I mutuality. EOM seeks to occupy a special place in the fixed premium sector for those who desire a gold standard of service. We are confident that EOM will enjoy increasing success over the years ahead,” Hughes added. The American Club has been successful in recent years in building on its US heritage to create a truly international insurer with a global reach second-to-none in the industry. Day to day management of the American Club is provided by Shipowners Claims Bureau, Inc. (SCB) also headquartered in New York. Eagle Ocean Agencies, Inc. an affiliate of SCB, manages the Eagle Ocean Marine (EOM) fixed premium brand of the Club’s business. Freight, Demurrage & Defense insurance, often referred to as “FD&D” or simply “Defense,” provides members with cover for claims handling assistance and for legal costs in relation to a wide range of disputes. Such disputes are outside the scope of P&I or H&M (Hull and Machinery) insurance and arise from the building, buying, selling, owning or operation of a vessel. The chief focus for Dorothea Ioannou as Global Business Development Director will be to coordinate business development efforts across all regions of the world, fostering current relationships and generating new initiatives for the American Club and its Eagle Ocean Marine (EOM) fixed premium facility. She is the first woman in the history of the American Club and its Managers to have been appointed to such a high-level executive role. Dorothea is Vice President of WISTA, Hellas, and will maintain her position as Managing Director of the Piraeus office of SCB (Hellas) Inc.from where she will also fulfil her new duties. Joanna Koukouli, the new Claims manager in Piraeus, obtained her first degree in law from the Aristotle University in Thessaloniki before gaining an LLM in maritime law from the University of Southampton in the United Kingdom. 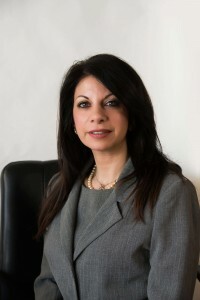 Joanna is a member of the New York State Bar, the Law Society of England and Wales and the Piraeus Bar Association. Marivi Banou, the new Deputy Claims Manager in Piraeus, joined SCB (Hellas) in 2005 having previously worked in both insurance broking and ship management. She holds a degree in shipping and transport from BCA College in Athens, in association with the Metropolitan University of London. Maria Mavroudi, the new Business Development and Claims Executive in Piraeus, joins the American Club from another major International Group club and related service provider. A graduate of the University of Piraeus and the Cass Business School of the City University in London, Maria is an associate member of the Association of Average Adjusters with broad knowledge of the marine insurance sphere at large. Gustavo Gomez, the new Claims Liaison Manager in London, is a well-known figure in the London marine community and has worked in the Managers’ London office for several years. Having qualified as a lawyer in his native Mexico, Gus worked in P&I correspondency before becoming regional director for a local maritime law firm. 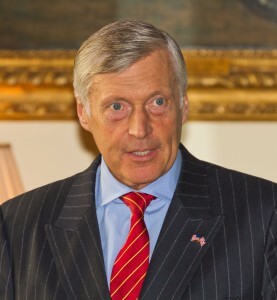 He holds a Master’s Degree in law from the University of Southampton in the United Kingdom. Katherine (Kat) Wang, the new Marketing Manager for Greater China and North Asia, holds a Master’s Degree in International Shipping and Logistics from Hong Kong Polytechnic University. Prior to joining the Managers’ operations in China, Kat worked for China Shipping, Hong Kong and latterly for the local office of a major Scandinavian P&I club where she gained extensive underwriting experience. The American Club recently reported solid progress during 2014 at the annual meeting of its members held in New York last month reporting that, despite a challenging economic climate, the Club’s business had developed favourably and 2015 had started on a positive note. The Club is able to provide local service for its members across all time zones, communicating in eleven languages, and has subsidiary offices located in London, Piraeus, Hong Kong, Shanghai, and Dalian, plus a worldwide network of correspondents. Kempten, July 7, 2015. Lufthansa Cargo honored Dachser Air & Sea Logistics in the Europe and Africa regions with the 2014 Lufthansa Cargo Quality Award for Europe & Africa. The award recognizes the logistics provider’s superior input quality. Thus, Dachser has the highest level of reliability for bookings out of all other shipping and logistics companies participating in the competition. 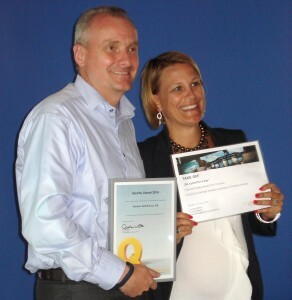 Katja Wichmann, Head of Global Account Management Europe/Africa at Lufthansa Cargo, and Thomas Krüger, Regional Manager North Central Europe at Dachser Air & Sea Logistics. To Lufthansa Cargo, one key criterion for the award is the provider’s “‘flown as planned’ performance.” This metric specifically includes booking quality, minimal no-show rates, and meeting the Cargo 2000 RCS indicator (“ready for carriage” shipment received from forwarder). Lufthansa Cargo measured these criteria each month, and is now recognizing the three partners with the best performance records. In the shippers and logistics providers category—for which at least 200 air waybills had to be flown with Lufthansa Cargo in the Europe/Africa sector—Dachser Air & Sea Logistics reached the peak position. Germany is excluded from this, because Lufthansa Cargo bestows a separate award there. With a staff of around 25,000 employees at 437 locations all over the globe, Dachser generated revenue of EUR 5.3 billion in 2014. The logistics provider moved a total of 73.7 million shipments weighing 35.4 million tons. Dachser is now represented in 42 countries. 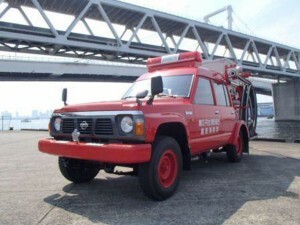 Kawasaki Kisen Kaisha, Ltd.（“K” Line）has today announced that it has provided free ocean transportation of a fire engine to be donated to Republic of Peru from Association of Fukui Peru friendship (President: Mr. Tadashi Kiyokawa ) in Fukui Prefecture, Japan. The fire engine is to be donated as a commemoration of the fifth anniversary of Association of Fukui Peru friendship, founded in 2010. “K” Line has decided to offer its support by providing free transportation of the vehicle to Peru as per request from both Mr. Elard Escala, Ambassador of Peru to Japan and Association of Fukui Peru friendship. It is a second free ocean transportation by “K” Line to the Republic of Peru, following the transportation of an ambulance and a fire engine donated from The Yamaguchi Peru Association (President: Mr. Tateo Kawamura) in 2012. On June 30, in the cooperation of Daito Corporation, an affiliate company of “K” Line, the vehicle has been loaded onto “K” Line’s pure car carrier (PCC) at Yokohama who will arrive at the port of Callao, Peru in the end of July. “K” Line hopes it may contribute to the improvement of firefighting operations in the country. July 01, 2015 – Evergreen Line has been awarded “Best Global Shipping Line” by Asia Cargo News at the 2015 Asian Freight Logistics and Supply Chain Awards. The accolade was conferred at a ceremony in Hong Kong last week and was accepted on behalf of the carrier by Derek Lo, Executive Vice President of Evergreen Marine (Hong Kong) Ltd.
Over 15,000 readers of Asia Cargo News were asked to select the companies that had consistently demonstrated excellence in customer service, innovation and quality of services provided. The AFLAS Awards have always been voted for by service users, not a panel of judges. This accolade of Best Global Shipping Line is therefore particularly significant as it signifies a vote of confidence in Evergreen’s quality performance from its customers themselves. Recent challenges presented by port congestion on the US West Coast provide evidence of such efforts. Delays at these ports lasted from the third quarter of last year to the first quarter this year, thus boosting demand for capacity from the Far East to the US East Coast. Limited by the constraints of the Panama Canal, carriers were not able to deploy bigger ships on the traditional route from the Far East to the US east coast. Last year Evergreen made use of its flexible 8,500 TEU ships to launch a new Asia – US East Coast service via the Suez Canal. These L-class vessels are of the maximum size that can pass under the Bayonne Bridge and call at the pivotal East Coast port of New York. The new service provided a perfect alternative to a delayed land-bridge routing via the congested West Coast ports. The AFLAS Awards recognize outstanding performance, service innovation and the efforts in environmental protection by transportation service providers around the world. In addition to ocean carriers, the annual survey by Asia Cargo News also covers seaports, container terminals, logistics companies and many other players in the global transportation service chain. 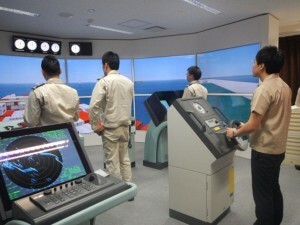 To implement a firmer measure for enhancing our business base “For safety in navigation and environmental preservation”, ”K” Line Maritime Academy (Japan) has newly installed the latest model of ship handling simulator as training equipment for Captains and Deck Officers. “K” Line Maritime Academy（KLMA), based at Machida city in Tokyo, has, as one of its core functions, “K” Line’s education and training schemes for its marine personnel. This simulator corresponds to ship handling training for 14,000 TEU Mega Container Vessel which are due to be delivered in fiscal 2015 and enable us to accommodate larger container ships of recent years. Thereby, we can conduct more effective training for Captain and Deck Officers who can confidently put into practice the group’s basic philosophy- “Establishing and maintaining safety in navigation to protect human lives, cargoes, and the natural environment at sea”. Along with the installment of ship handling simulator, Bridge Resource Management (BRM) Training Course with the said simulator was certified by Nippon Kaiji Kyokai (Class NK). BRM Training Course is the requirement of STCW Convention and it is obliged to exercise the course for Captains and Deck Officers. The certification proves that BRM Training Course conducted by KLMA (Japan) provides the high-quality training fulfilling the global standard. In line with the installment of ship handling simulator, the training center has establish the Quality Management System on its own and acquired ISO 9001 certification by Class NK. Though “K” Line has been providing standardized training for all seafarers onboard our group vessels through KLMA, “K” Line will offer higher level of globally standardized training by incorporating objective assessments from this third-party accreditation organization, which contributes to strengthening safety and efficiency in navigation. Remarks 1: KLMA is the cluster of our seafarers’ training centers developed in 5 countries around world that provides the career path program for “K” Line seafarers. Remarks 2: BRM is a management method that aims to archive safe navigation by enhancing teamwork in the Bridge and making effective use of navigational equipment, information, etc. It is a requirement of STCW Convention in which Captains and Deck Officers are obliged to acquire knowledge and skills about BRM as their competency. Remarks 3: STCW Convention (The International Convention on Standards of Training, Certification and Watch keeping for Seafarers,1978) was adopted in response to the tanker oil spill accident which was occurred due to grounding on the southwest coast of UK in 1967. The establishment of STCW Convention aimed to improve the quality of seafarers’ competence equivalent to the international qualification standards. It came into force in 1984 and adopted a new set of amendments in Manila in 2010 called “The Manila Amendments” as a result of implementation of comprehensive review of human error in marine accidents.